In Mediumship, an intuitive acts as the bridge between the in-form (living) and the deceased (those now out of bodily form). 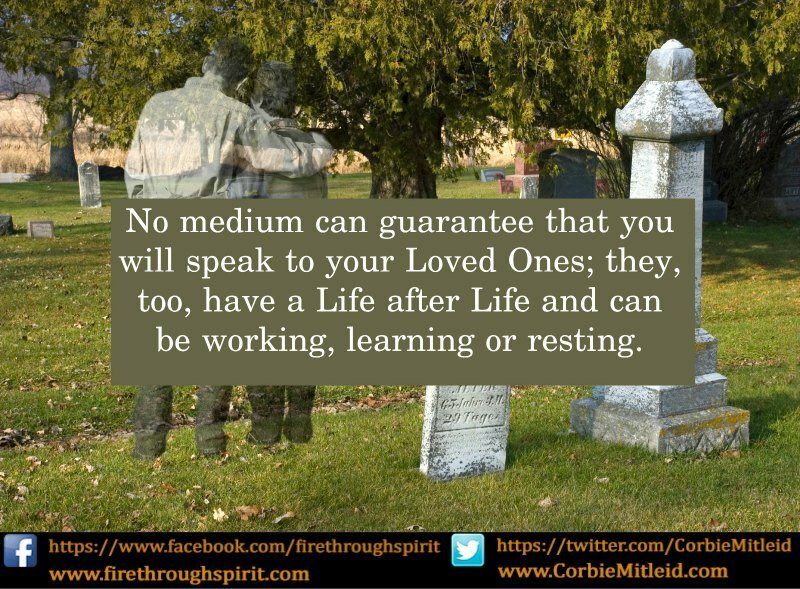 A medium helps us to speak to our discarnate loved ones or ancestors. 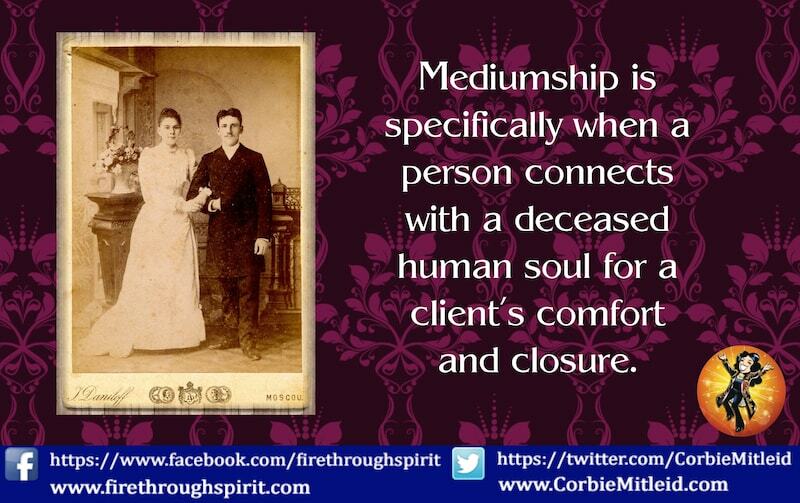 Mediumship can be both mental and physical in evidence. People often get mediumship and channeling confused. Psychic medium Corbie Mitleid explains the crucial differences between these two metaphysical methods. Why Won’t My Deceased Loved Ones Talk To Me? What does it mean when a medium doesn't connect you with your deceased loved ones? 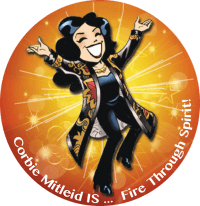 Corbie Mitleid explains why a psychic reading may not reach them. 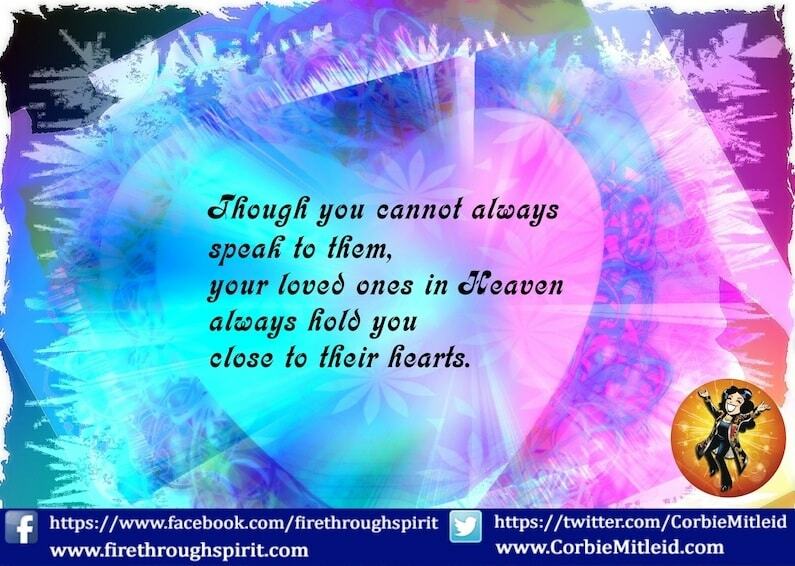 Psychic Medium Corbie Mitleid explains the different kinds of Mediumship and various ways one can speak with those on the Other Side. How do you know if a psychic medium is really contacting the the Other Side? 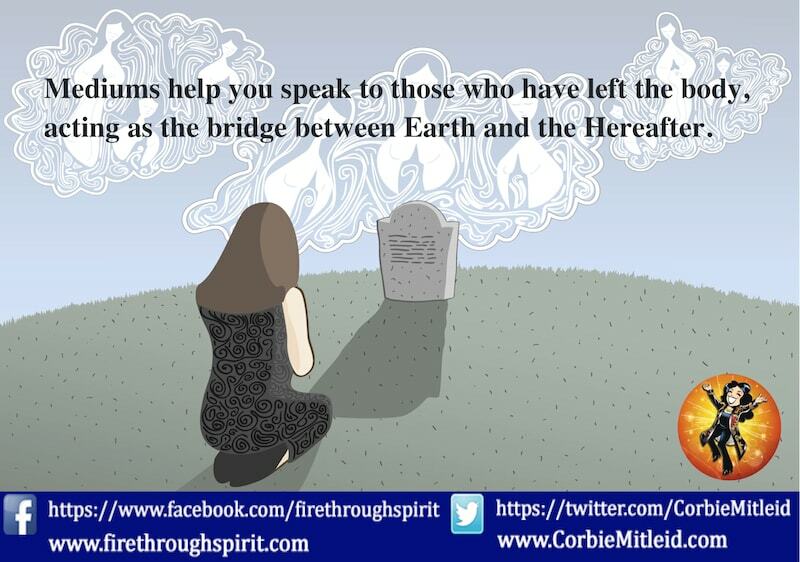 Corbie Mitleid explains what you need to know about talking to the dead.